ETI Solid State Lighting Multi-volt LED strip light delivers 3600-Lumens of light output at just 40-Watts. It has a color temperature of 4000K and CRI of 80 for superior color rendering. It features bulb life up to 50000 hours. 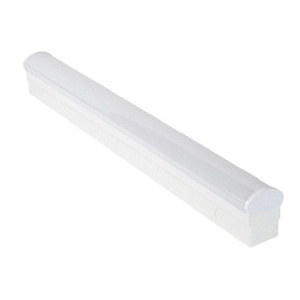 It is a high quality replacement for traditional fluorescent light sources. The strip light is great for commercial, office, residential, office and retail, restaurant, for school, hospital and hotel/motel locations. LED strip light is cULus listed for damp locations.